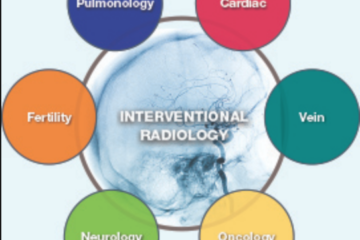 Interventional Radiology student interest groups (IRIGs) are a great way to introduce students to the field and connect like-minded individuals. 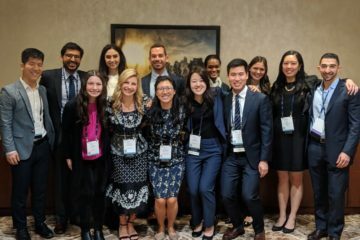 These groups serve as a platform to disseminate information about IR-related topics, connect students with residents and faculty for research/shadowing opportunities, and provide a means for students to explore and promote the field in a meaningful capacity. The SIR MSC produced an IRIG roadmap that offers instructions and premade lecture sets to facilitate creation of an interest group. These resources have enabled students across the country to succesfully establish groups at their home institutions. Recently, we surveyed these groups to find out what types of events they were hosting for their members. Nearly all active groups hosted lunch talks throughout the year where faculty came and spoke about the field, their careers, and challenging clinical cases they have encountered. Other groups – like Cornell’s – elected to engage faculty and residents in a more informal fashion (read: happy hour). IR symposiums are also popular events. MUSC, UVA, and UNC among other schools host annual symposiums. These all-day events include guest lectures, networking, and device demonstrations sponsored by select vendors. For example, at UNC’s symposium, vendors set up nearly a dozen tables where students could practice using IR’s latest atherectomy, ablation, and embolization tools. Organizing a symposium can be daunting, especially for newer IRIGs with limited resources and experience. Thus, it is very common for multiple schools to collaborate and host regional symposia. Simulations and hands-on workshops are also well received events. For example, Einstein’s IRIG hosted an event where radiology residents introduced students to IR tools. Attendees were able to practice with catheters and guidewires as well as learn how to deploy stents and IVC filters. A separate session was held in the endovascular simulation lab. Under the guidance of IR physicians, teams worked together to coil a renal artery aneurysm in a simulated experience. At Vanderbilt, students attended an ultrasound-guided venous access and biopsy workshop. Other schools, like Rochester, truly captured the creative nature of IR in their workshop sessions. For their biopsy station, they implanted grapes and olives into cow livers. And to practice ultrasound-guided drainage, they used soy sauce packets as fluid collections. Students were also able to place tunneled central lines and gastrostomy tubes in mannequins. To conclude the session, an IR attending gave a group-wide demonstration on stent deployment. Other helpful events have included tours of the IR suite. At Brown, IRIG leaders walked their members through the suite, allowing them to appreciate the differences between an IR suite and a conventional operating room. Other IRIG groups have found ways to parallel events alongside their institution’s formal curriculum. At UPenn, IRIG leaders developed a short lecture series that corresponded with the MS1 anatomy course. 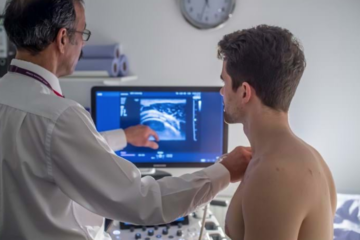 These lectures, which were given by IR physicians, reviewed the relevant anatomy from an imaging perspective, while also discussing applicable IR procedures such as TIPS, nephrostomy tube placement, and stroke and dialysis interventions. Attendees were able to practice using related IR devices on cadavers in the gross anatomy lab. The aforementioned activities provide just a few examples of what IRIG leaders are organizing for their members. It is our hope that this article will provide tangible ideas for other leaders to enhance their interest group experience. From happy hours to hands-on simulations, there are myriad ways to engage group members and explore IR.